What do you think? Which season six episodes of the When Calls the Heart TV series do you rate as wonderful, terrible, or somewhere between? 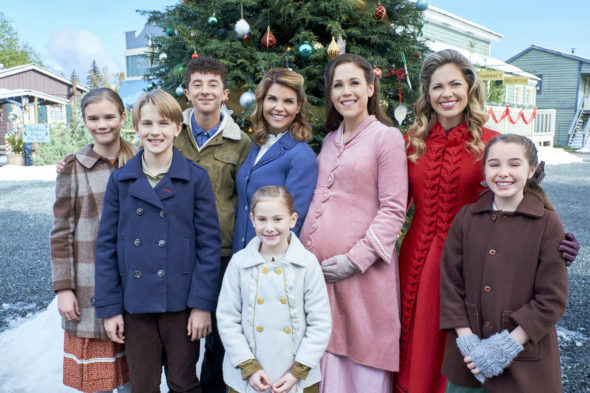 Should Hallmark cancel or renew When Calls the Heart for a seventh season? Don’t forget to vote, and share your thoughts, below. *4/10/19 update: Season six of When Calls the Heart returns May 5, 2019. *4/13/19 update: When Calls the Heart has been renewed for a seventh season by Hallmark. I miss Jack too but I feel this show can continue on without him. I love this show and hope it will continue on for several more season, in lue of losing a second main character. Please don’t cancel!!!! I think they are doing a spin off and if they don’t have Elizabeth on it I might consider watching it. It’s really what they should do because WCTH is not the same show now! They shouldn’t even say anymore that it’s inspired by the writer of the books since Elizabeth’s husband does not die in the books. Sure some shows stray a little from books but not so far as to kill off a main character that was not killed off in the books. I truly hope this show gets cancelled even before S6 is completed airing. The entire gist of the story died when Jack did. It truly should have ended with the wedding. Why was Havk killed off on When Calls the Heart? Don’t renew. With Jack gone it’s not the same. What happened and why is Daniel Lissing gone???? I miss Jack!!! Is there any chance of a show where he is discovered still alive, but has amnesia? I really want Jack back! Together they made the show’s foundation. Of course I love all the other people too and I’d probably be upset if they were gone also. But WHY JACK??????? Jack wanted to leave, it wasn,t Hallmarks fault! Love the show. All of them make this show what it is. Please continue the show. I started to watch the show because of the love story between Jack and Elizabeth. That is now gone…and so am I! I sincerely love this show. I feel as if these kind of shows are what people need to see!! It reminds me of shows I grew up on such as Little House On the prairie!! Please keep filming this show! We desperately need programing of this quality, content and values. I am certain that there is room on the air waves for a variety of viewing – but this type has our family’s vote. Please stay. Hallmark you have a “WINNER” with When Calls The Heart! The actors and writers week after week turn out Emmy worthy performances and scripts, that definitely make viewers looking forward to the next episode. Hallmark a suggestion: Post a poll on Facebook for the average viewer, that does not participate in the Nielsen Ratings to cast their votes & you will see how truly popular the show is! !